A single tree fell on top of a main power line in Cayey, Puerto Rico, causing a massive outage that left almost 900,000 customers in the dark as the U.S. territory is still recovering from Hurricane Maria. The outage affected the island’s international airport as well as the metro area light rail line and Plaza Las Americas, the biggest shopping mall in Puerto Rico and the Caribbean. Centro Medico, the biggest public hospital in San Juan, was operating with generators. Puerto Rico's Electric Power Authority said the tree fell on top of the main line that supplies power to San Juan, the island's capital, and other surrounding municipalities while workers were cleaning debris. This is part of the restoration work taking place to fix the transmission system in Cayey, a town about an hour's drive south of San Juan. RELATED: Why does restoring full power in Puerto Rico seem like a never-ending task? Some commuters where stuck inside the "Tren Urbano," the light rail line, and had to walk on the tracks. Jorge Bracero, an electric power authority employee, said on Facebook that most of the municipalities on the eastern part of the island were without power and that fully re-establishing power to everyone could take eight to 16 hours. The power authority tweeted: "This is the tree that fell on the power line 50900 in Cayey, causing the interruption of electric service from Manatí to Yabucoa, two towns in the eastern part of Puerto Rico. We will keep working to restore service for close to 840,000 customers." Across social media, people were noticeably outraged. Many posted how fed up they were with the ongoing outages and demanding a permanent fix to that line, which has failed several times in recent months. Before the outage, more than 50,000 customers had been in the dark since Hurricane Maria struck on Sept. 20 and destroyed up to 75 percent of all power distribution lines. 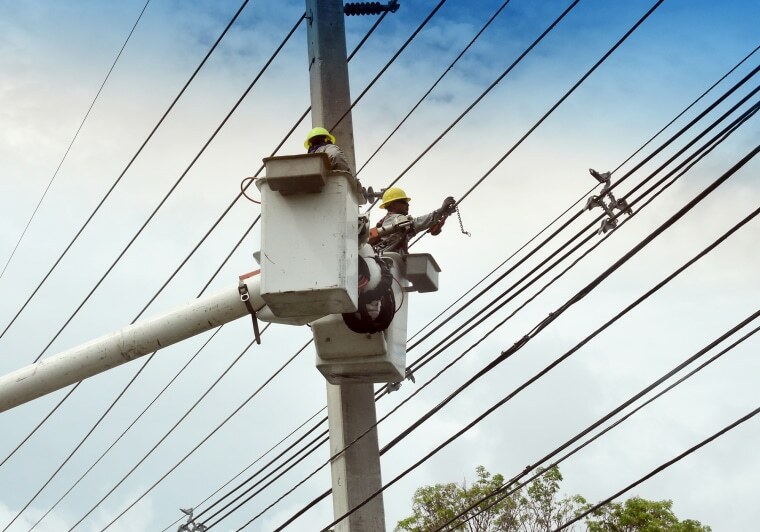 The latest outage came two months after a fiery explosion at an electric substation in San Juan threw much of northern Puerto Rico into darkness. Federal officials said Wednesday they expect to have a plan to strengthen and stabilize the power grid by June.